Eliminates both curls and frizz up to 95%. Revitalizes and rejuvenates the hair. Promotes healing of the hair and helps to keep toxins out such as smoke, pollution, ultraviolet rays, etc. Can be used on both colored and chemically treated hair. Restores and restructures the hair by deeply penetrating the cuticle (outer layer of each hair) and restoring the all natural keratin to that hair. 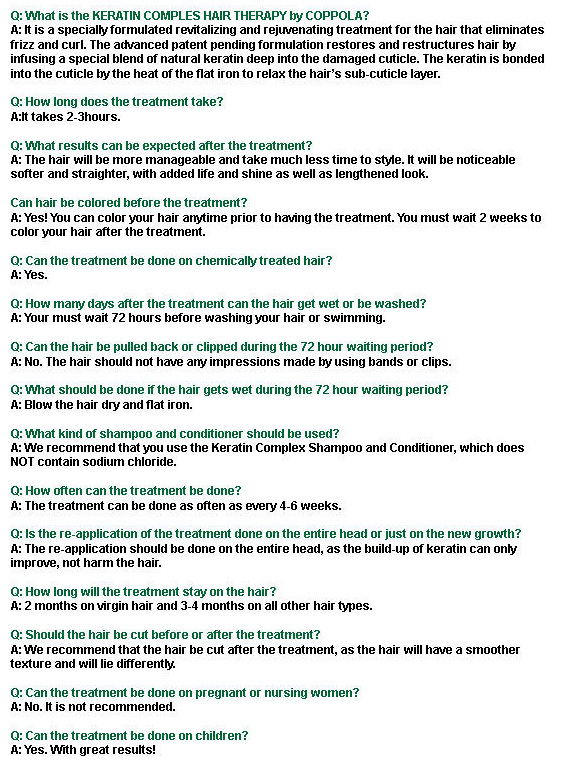 This treatment is for someone who doesn’t want chemical straightening. This is a conditioning treatment, not a permanent chemical procedure. Keratin treatment will coat keratin on your cuticle and it will make your hair feel and look healthier. As you wash your hair, keratin will wash out little by little. So your hair will be able to go back to wavy again. This treatment will last 3 to 5 months. There is no demarcation of your natural wave and straightened area. We can do Keratin Treatment for someone who has extremely damaged hair which cannot be processed with any other straightening. This Keratin Treatment is for any type of hair. Taka’s Keratin Treatment is detail oriented- because we specialize in straightening- so our Keratin treatment will bring better results. 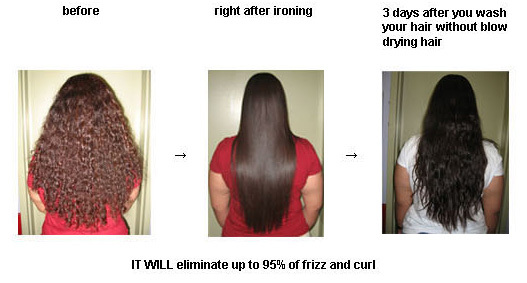 How we iron your hair with Keratin will determine the results of your beautiful hair. Takes about two to three hours depending upon the length and texture of hair.